This article is a translation of a previous post on The Postcolonialist. Translation provided by Negarra Akili Kudumu, editor. … I think that anyone seriously engaged in cultural studies, as intellectual practice, must feel, in the skin, its transience, its unsteadiness, how little they register, the bit we accomplish to change or to encourage throughout (to) action. If you do not feel it as a tension in the work they produce is because the theory has left him in peace. Stuart Hall (2003a, p. 213). I encountered the writings of Stuart Hall in the mid-1990s. At the time, I was pursuing my master’s degree in Education in the Graduate Program of the Federal University of Rio Grande do Sul, Brazil, under the advisement of Professor Maria Lucia Castagna Wortmann. At that time, I experienced the period of the creation of the above referenced program, as well as the research area “Cultural Studies in Education”. I remember that the circulation of Stuart Hall texts between teachers and students triggered an enthusiastic movement of research articulation in education with cultural analyses stemming from the Birmingham group, an anthropophagic movement of absorbing concepts, modes of writing and researching. We came to see our own questions and contexts with other eyes. 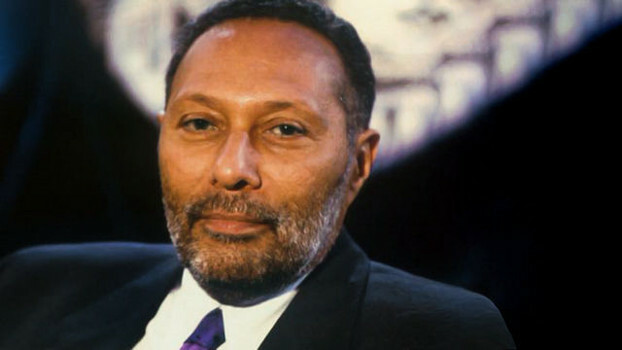 Studying the writings of Stuart Hall in the 1990s, in a Department of Education, opened up an enormous potential range of investigation that put into action educational research in a broader more visible manner with regards to cultural issues of ethnicity, race, gender, sexuality, identity and consumption. With this, the focus on categories (strongly inspired by Marxist theories) such as those related to social class, labor, production and social reproduction, had their centrality challenged. It is impossible to forget the poor translations (made ​​only for internal circulation among students and teachers) of Hall’s texts and the texts of other authors and researchers at the Centre for Contemporary Cultural Studies (CCCS). I have been involved with the translation effort, together with other colleagues, for a book by Paul du Gay, Stuart Hall, Linda Janes, Hugh Mackay and Keith Negus titled, “Doing Cultural Studies: the Story of Sony Walkman”. We studied these materials and many others through a seminar taught by Professor Tomaz Thaddeus. The year was 1996. At the time, my English was not strong enough for such a difficult task. This weakness, however, allowed me to anticipate the scale of the effort devoted to studies of the texts that motivated us, driving new questions and new paths of research. That book marked a turning point in my training as a researcher able to articulate, in an engaging language, discussions about culture, media and identity. The notion that we negotiate our identities daily, in asymmetric networks of knowledge-power, (re) inventing them incessantly, without this process ending or being defined, impacted me deeply at the time. I had previously imagined carrying around an essence, an identity that was entirely mine, forever housed in my “soul”. Stuart Hall (2000) taught me that the identities have to do “with the question of using the resources from history and language, as well as from culture, to produce not what we are, but what we become” (p.109). Thus, the construction of identities may be linked to a process of “invention of tradition” and, therefore, whatever we become has little connection with a pretentious possibility ‘back to the roots.’ Such a process would be thus linked to “a negotiation with our routes“, in other words, with everything that went into constructing ourselves at different times in our history. In the words of Hall (2000), identity is a concept “under erasure”, that is, inappropriate, unstable and non-necessary. Thus, according to this thought-provoking author, the concept of identity needs to be questioned as a problem on its essentialist and deterministic productions, and also with regard to its own development, in order to widely mark its provisional character as well as its political character. Hall (2003a) argues that it was racial issues, along with feminism, that checked the work of British cultural studies, while (until the 1980s) they were mostly “struggling” with Marxist theories. At a time in which issues related to race, sexuality, and gender in culture came to the foreground, cultural studies took a “linguistic turn”, that is, such studies, under the influence of Hall’s work, began to highlight the “crucial importance of language and linguistic metaphor for any study of culture” (HALL, 2003a, p. 211). According to the intellectual, “racial issues were important extrinsic sources in the formation of cultural studies” (p. 210), this “necessary deviation” from the field to the discovery of textuality, being then configured as key axes of cultural practices for those who have been interested in cultural studies while committed to a political agenda in tune with minorities (in terms of symbolic power). I would also like to briefly focus on the question of the subject in the theories of Stuart Hall, approximating him to Michel Foucault, because for both of them the subject is taken in articulation with the discursive and non-discursive formations. Although Hall (2000), follows the theories of Michel Foucault with respect to the notion of the subject, he problematizes the thinking of the philosopher – both in its archaeological stage (centered on studies of discursive practices) as well as genealogical dimension (centered on the study of the relationship of knowledge-power) – with respect to limited discussion about the ways by which to interrupt, impede or disturb “the quiet insertion of individuals in positions of-subject constructed” by discourses (p.122). For Hall, it will be in his last phase (ethics) that the philosopher, concerned about the “technologies of the I”, emphasizes the practices “that might prevent this subject becomes, forever, just a docile, sexualized body” (p.125). Hall points out that the decentering of the subject does not mean its destruction, and, according to that, proposes that we think about it as articulated to discursive practices. The author seeks then, to highlight an active role of the subject in negotiation, transformation and reconstruction of meaning, assuming, according to Foucault, the notion of a historical subject (not a person who would be the source of all knowledge, or even transcendental) that is linked in a contingent way to the discursive practices of his time. It is interesting to note, also, that Hall’s texts were important not only for my research papers, but also for the initiation and continued education of teachers of science and biology. I activated, through Hall (1997), an understanding of cultural practices that infinitely increased all articulatory possibilities starting with the thematic ones, until then seen as “the property” of biology and its teaching. This meant assuming the understanding that different cultural institutions or contexts (cinema, school, television, newspaper, advertising, literature), producers of artifacts (films, textbooks, television programs, newspaper articles, brochures) that we consume daily are also implicated, far beyond the science that takes place in laboratories, in the ways in which we learn to see, to read and to narrate the living world. In fact, Hall’s very own biology began to be seen by me as a cultural practice. Finally, I would now like to point out some brief notes I made in pencil (at different moments during my professional career) in two texts by Stuart Hall (2003a and 2003b) that I greatly enjoy, “Cultural Studies: Two Paradigms” and “Cultural Studies and its Theoretical Legacies.” Both were published in the book “From Diaspora: Identities and Cultural Mediations,” organized and compiled by Liv Sovik. The first edition appeared in Brazil in 2003, quite a distance from when I initially encountered the works. What seems not to escape is the actuality, the political relevance, the effects upon us and in our practices that make so captivating the texts of one of the most exciting and challenging authors of the second half of the twentieth century: Stuart Hall. HALL, Stuart. Estudos Culturais e seu legado teórico. In: SOVIK, Liv (Org.) Da Diáspora: identidades e mediações culturais. Belo Horizonte: Editora UFMG; Brasília: Representação da UNESCO no Brasil, 2003a. _____. Estudos Culturais: dois paradigmas. In: SOVIK, Liv (Org.) Da Diáspora: identidades e mediações culturais. Belo Horizonte: Editora UFMG; Brasília: Representação da UNESCO no Brasil, 2003b. _____. Quem precisa da identidade? In: SILVA, Tomaz Tadeu. Identidade e diferença: a perspectiva dos estudos culturais. Petrópolis: Vozes, 2000. _____. A centralidade da cultura: notas sobre as revoluções culturais do nosso tempo. Educação e Realidade, Porto Alegre, v. 22, n. 2, p. 15-46, jul/dez. 1997. Belinaso Leandro Guimarães holds a Degree in Biological Sciences from the University of São Paulo (FFCLRP) as well as a Master’s and PhD in Education from the Federal University of Rio Grande do Sul (UFRGS). He is a Professor in the Department of Teaching Methodology (MEN), in the Centre for Science Education (CED), at the Federal University of Santa Catarina (UFSC) in Brazil. He is a Researcher at the Graduate Program in Education (PPGE), within the “Education and Communication” line. He advises masters and doctoral research examining education and culture through a poststructuralist lens. Primary teaching areas include the sciences/biology and environmental education, issues related to the image, the quotidian, the narrative, and art.